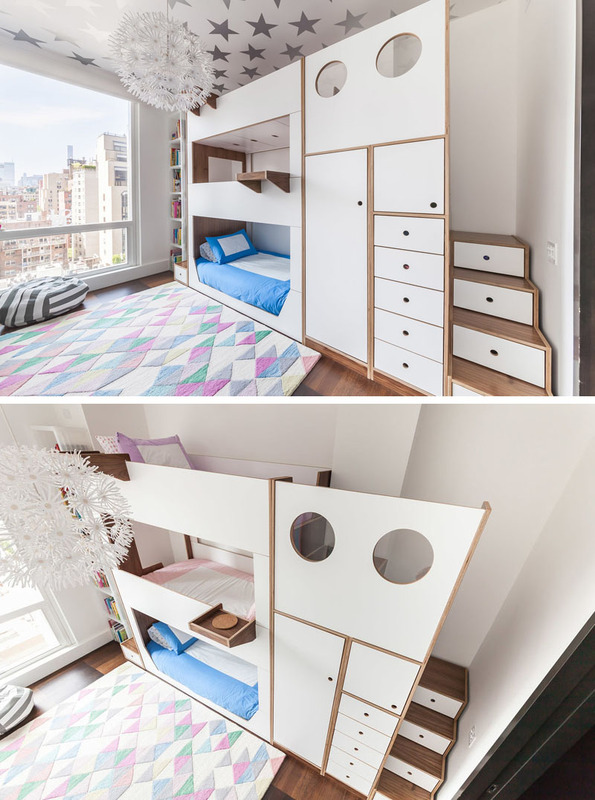 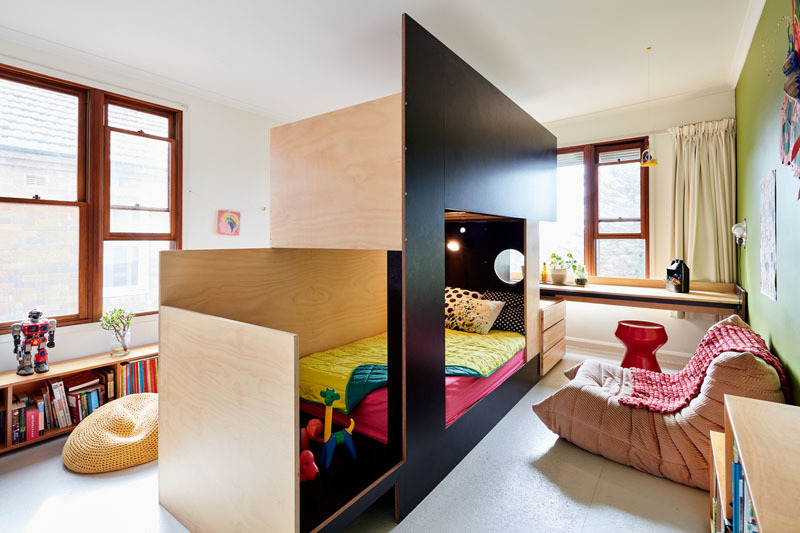 Corner bunk beds in this small bedroom are a smart space-saver! 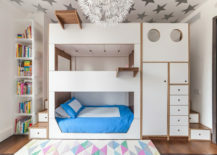 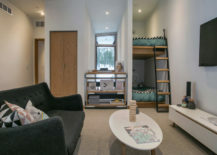 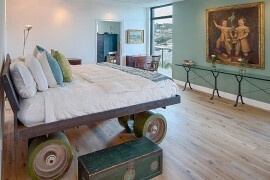 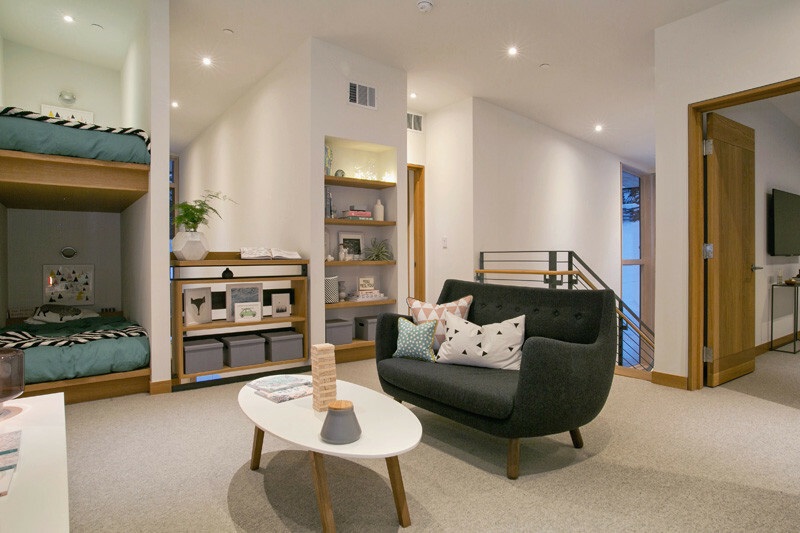 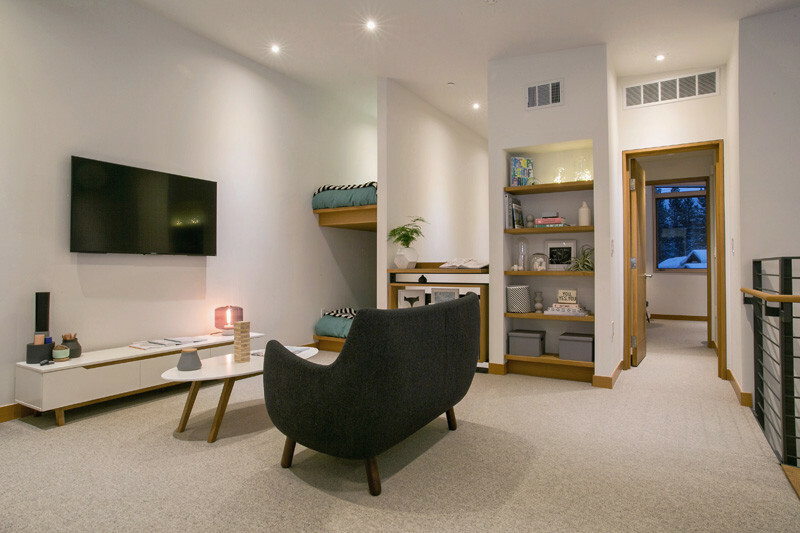 Custom wooden bunk delineates space in style! 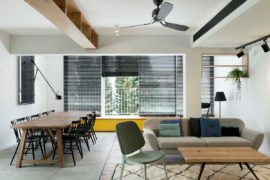 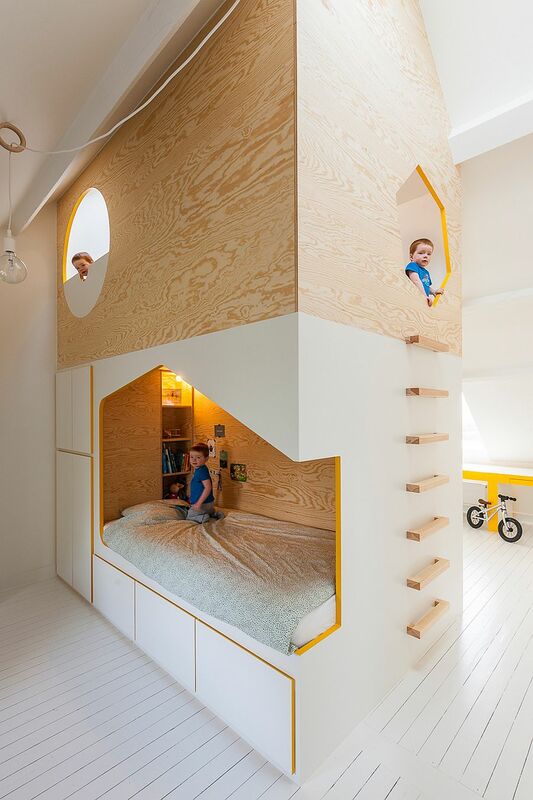 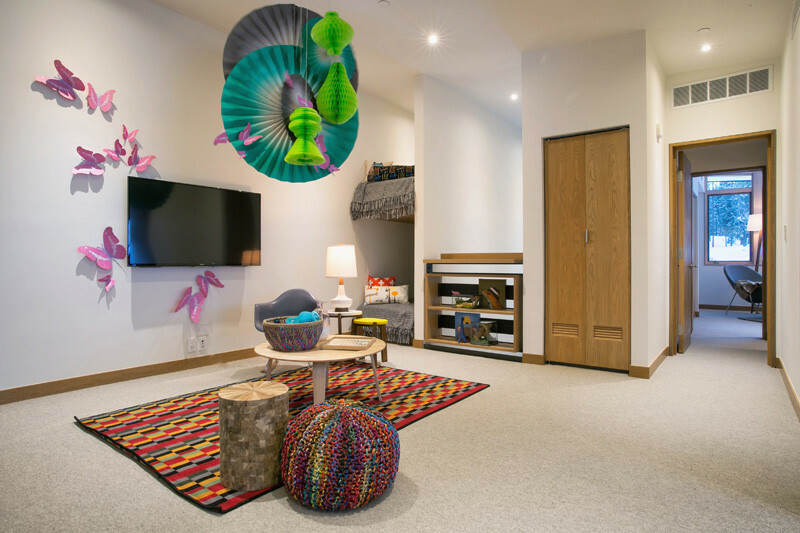 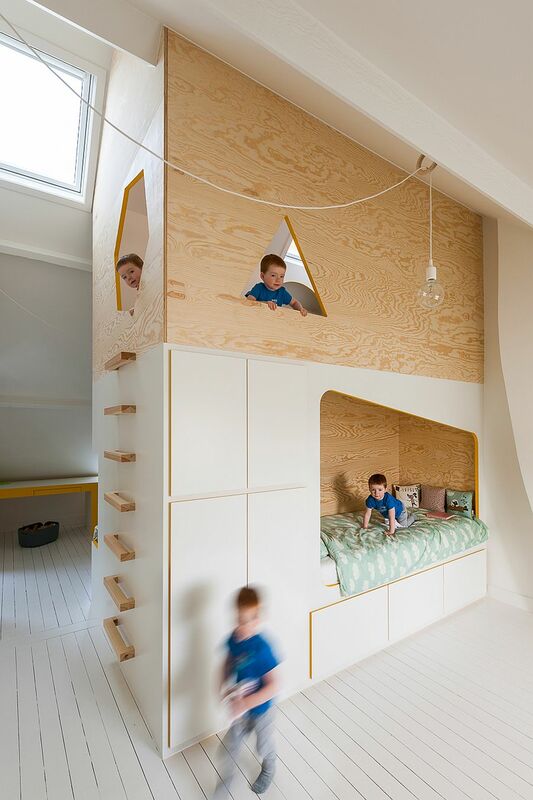 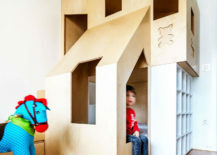 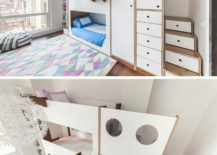 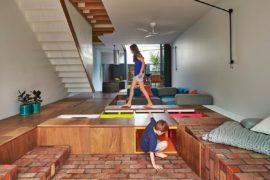 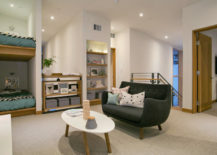 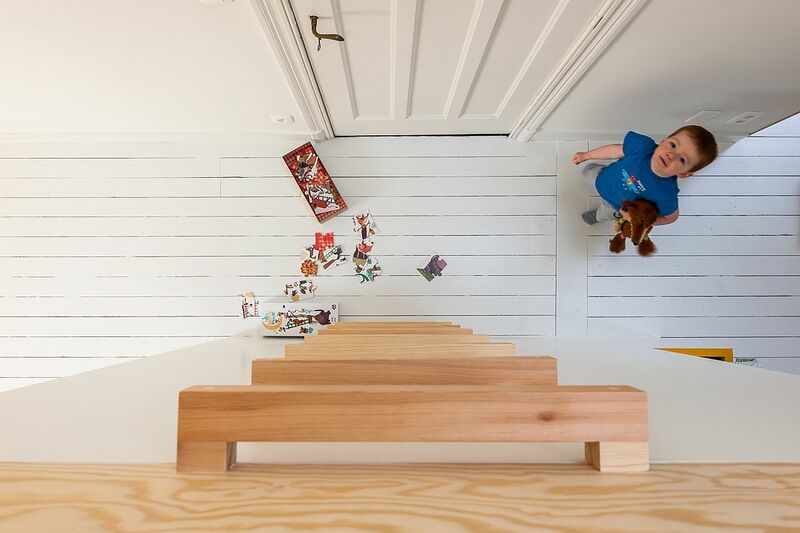 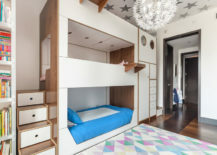 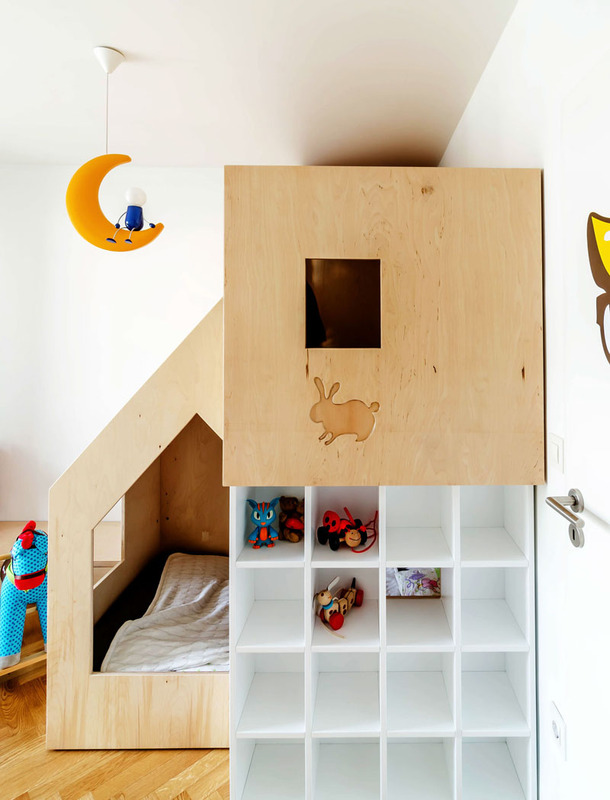 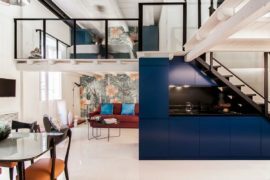 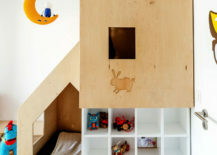 Part of an old mansion, this kids’ bedroom designed by Van Staeyen Interior Architects moves away from the mundane thanks to the bespoke double beds and loft play area inside. 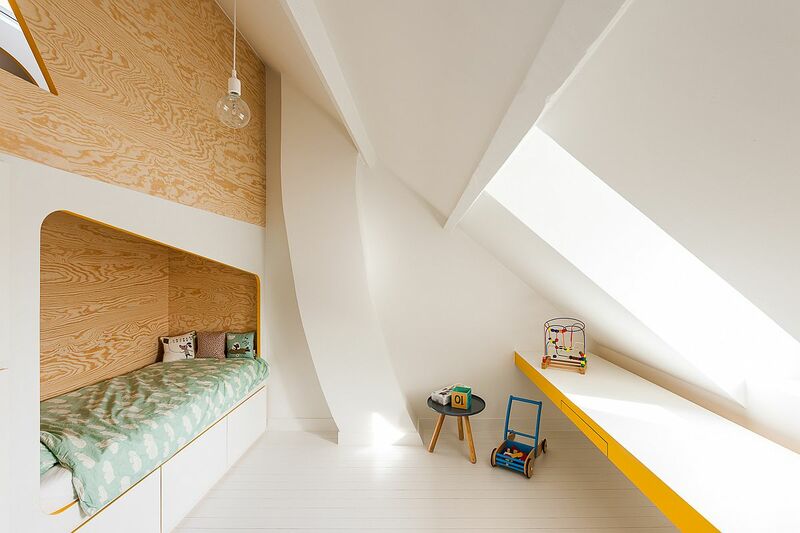 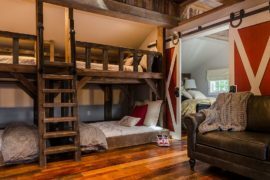 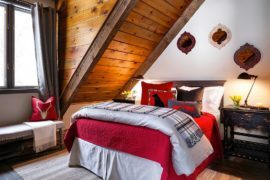 An attic room, the light-filled bedroom with sloped ceiling still has enough space for this unique creation that seems as creative as it is fun! 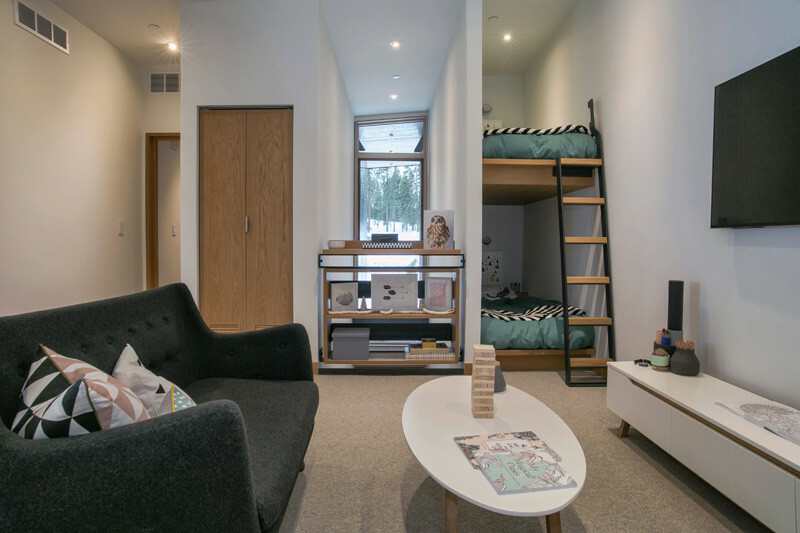 The design of the dual beds is pretty simple with the large custom wall featuring niches for the sleeping zones on both sides.